What does a fragile, nutrient-packed berry from the Brazilian rainforest have in common with mixed martial arts? 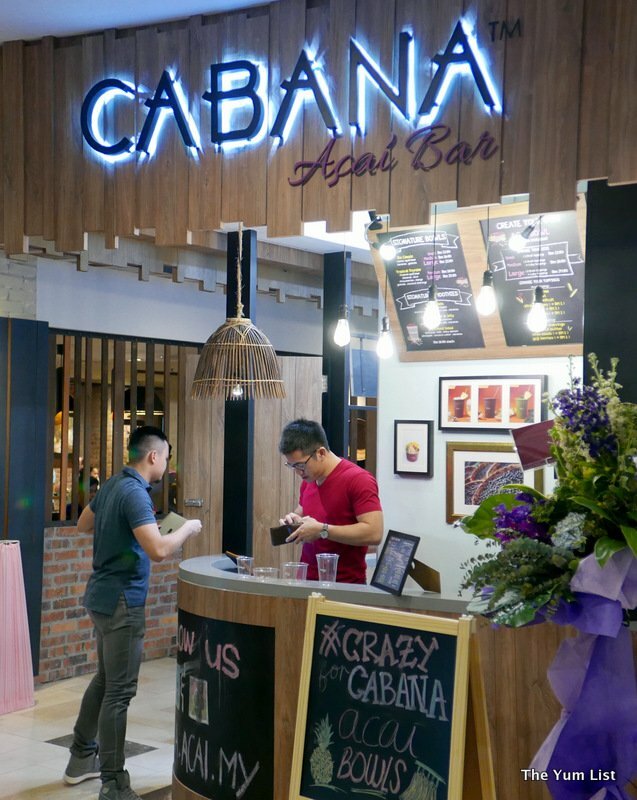 A lot, according to the owners of Cabana, a new açai bar that brightens up the lower floor of Publika with its warm beachside bungalow décor and its friendly staff. 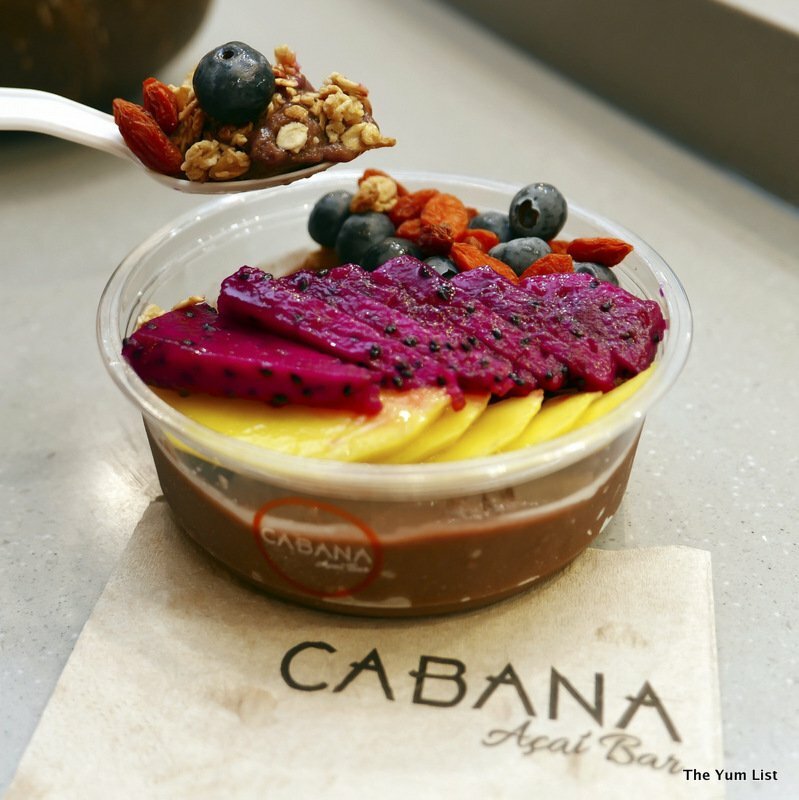 Jun and Khyn, the owners of Cabana, developed a craving for healthy foods – and açai in particular – by necessity, to stay slim and fit for the demanding sport they love. 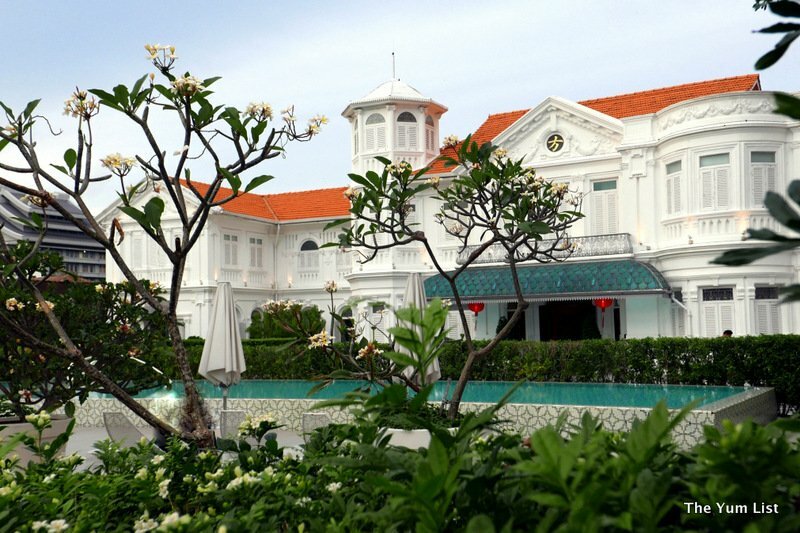 As practitioners of Mixed Martial Arts, they stumbled upon the benefits of the berry after trying it out in Singapore, and were frustrated that they could only find it in KL in powder form (which is not as efficient in delivering the nutrients as the berries that have been pulped and frozen within 48 hours of harvesting, such as the ones that Khyn and Jun have flown in from Brazil). 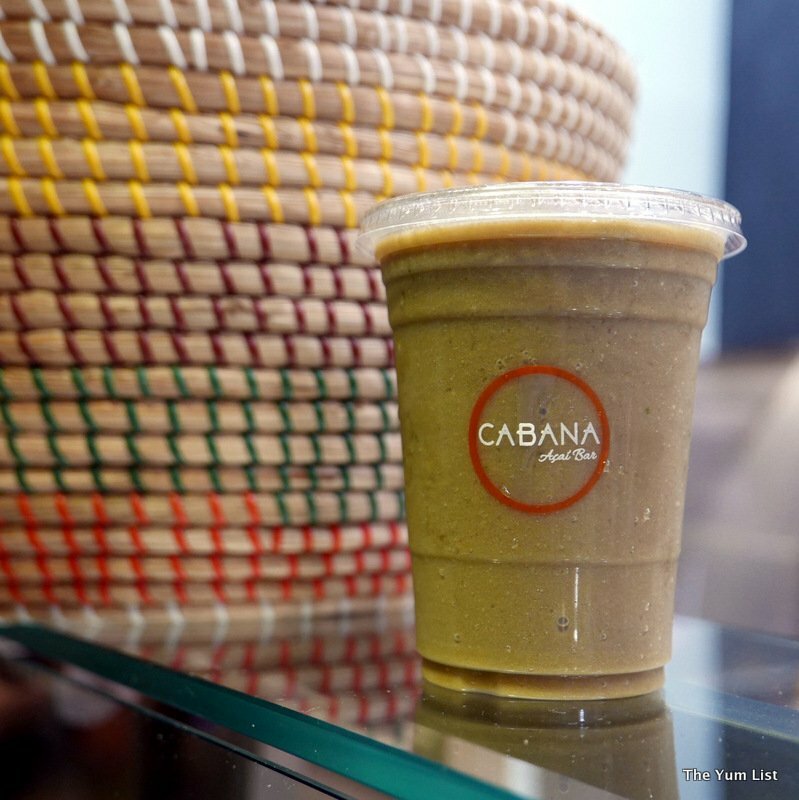 So they started their own café, conveniently located in a mall with three gyms and an upcoming yoga studio, to serve their own needs and those of athletes – and any other health buffs – in the area. And after trying it out, I can attest to the benefits of replacing a carb-heavy sleep-inducing lunch with one of their refreshing, energy-packed bowls. I had none my usual post-lunch sluggishness, and the bonus was that the bowls themselves were as delicious as they were nutritious. Even the non-athletes working in and around Publika should appreciate those benefits. When we sat down in the tall bamboo and woven rattan chairs at the bar, we were first given a taste of their smoothies (RM 16.90), all made with frozen açai pulp as a base. We started with the super-healthy Superfood Salad Smoothie, a blend of kale, baby spinach, pineapple, bananas, and coconut water. It was fresh and fruity, and the pineapple completely cancelled out the potential bitterness of the kale, giving us all the nutrients without the nose pinching that some might associate with the idea of a kale smoothie. As a non-kale fan, I was surprised at how much I liked it. I would happily order it again, even if I didn’t know how healthy it was. The next two were less surprising in their deliciousness. Who wouldn’t eagerly reach for a smoothie called Peanut Butter and Jelly, or for one called Piña Colada? They were as tasty as they sound. The Peanut Butter and Jelly smoothie, a combination of peanut butter, strawberries, soy milk, and bananas, sent me right back to my childhood and I could imagine the whole thing on a sandwich with the crusts cut off. And the refreshing Piña Colada, with its blend of pineapple, coconut water, bananas, and coconut milk gave me the momentary sensation of sitting under a palm tree on a beach (with the beachside décor of the café helping to push my imagination in that direction). 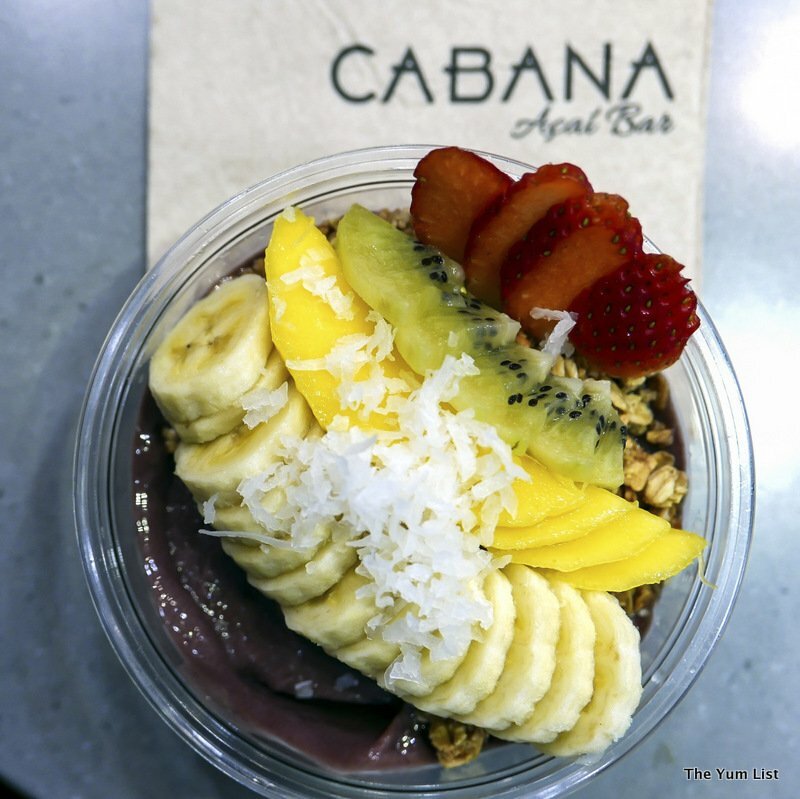 From the smoothies, we moved on to the signature açai bowls. 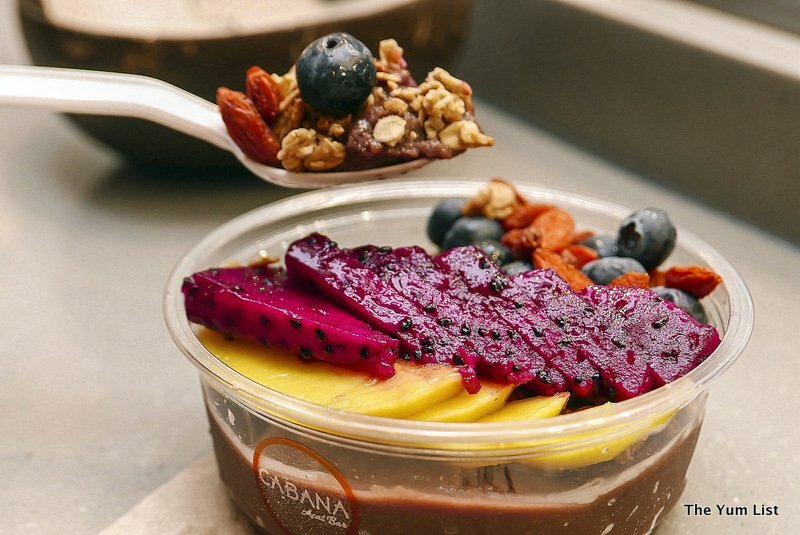 The first, the Rio Classic (Small – RM 12.90, Medium – RM 16.90, Large – 22.90), starts with a classic açai base, which we learned is the traditional blend of açai pulp with apples and bananas that you mostly find in Brazil. It is then topped with bananas and granola. It is pleasantly uncomplicated, and the classic açai base allows a slight taste of dark chocolate to sneak through the fruitiness of the mix. Khyn agreed that many find the açai berry to have a hint of a dark chocolate flavor, and the classic base allows this to come through. The tropical base, however, masks the subtle açai flavor but replaces it with something equally tasty. We found this as we enjoyed the Tropical Thunder bowl (Medium – RM 19.90, Large – RM 25.90), a bowl that starts with a tropical açai base (blended instead with pineapple and bananas) and is then topped with bananas, kiwi, strawberries, mango, granola, and coconut shavings. This one is sweeter than its classic cousin and offers a bit more in variety of flavor. I could see switching it up with these two on different visits, depending on whether I was craving simplicity or variety. Both were refreshing and surprisingly filling. 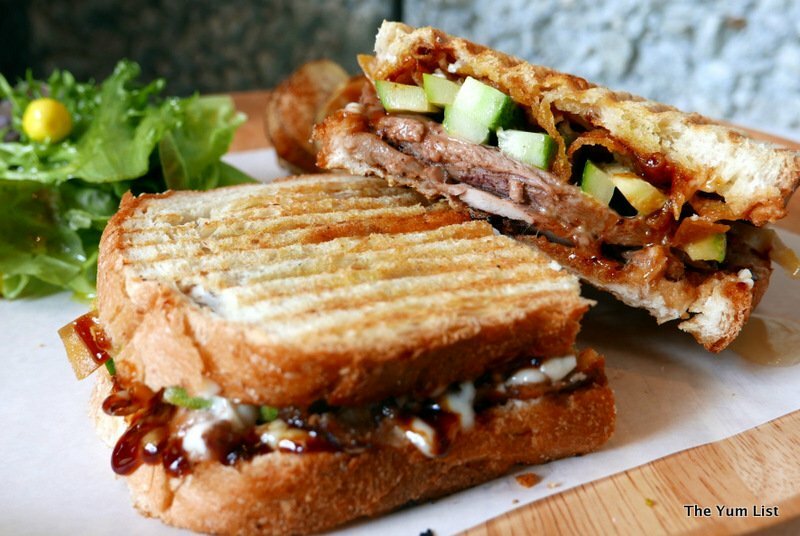 Khyn and Jun also offer another option for those who want to experiment with their own toppings. 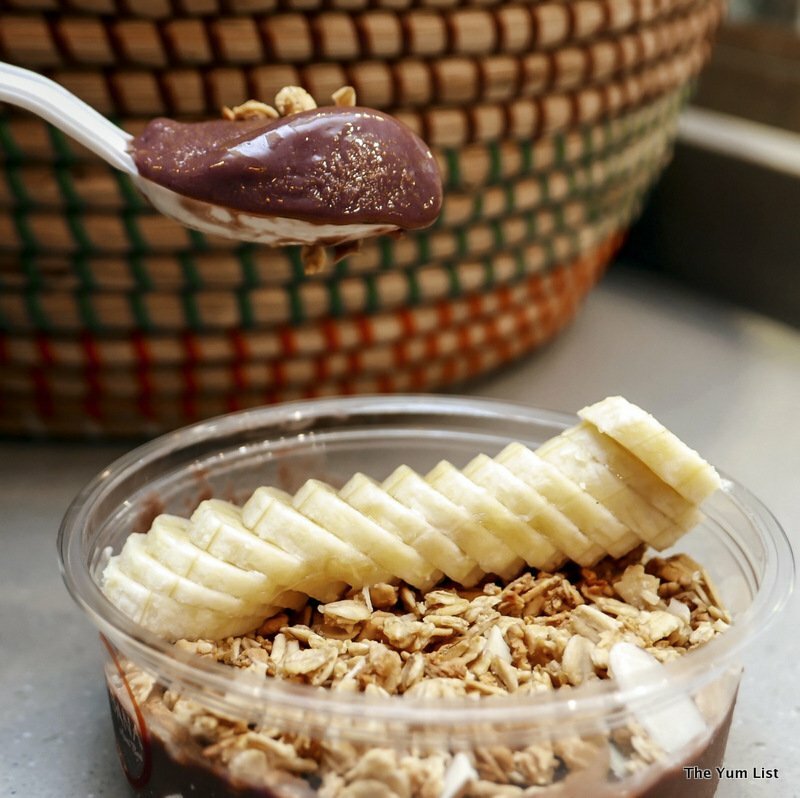 You can create your own açai bowl with a classic açai base and granola for RM 12.90 (Small, with 1 fruit topping), RM 18.90 (Medium, with 3 fruit toppings and 1 dry topping), or RM 24.90 (Large, with 3 fruit toppings and 1 dry topping). The fruit topping choices included bananas, kiwi, dragon fruit, mango, and blueberries, and the dried toppings included coconut shavings, peanut butter, chia seeds, and goji berries. Our own creation from these lists was a combination of dragon fruit, mango, blueberries and goji berries, and without wanting to brag, I’d say we struck the perfect mix. It was so colorful and artistically designed that I hesitated to dig my spoon into it – and it tasted as fantastic as it looked. But while this mix happened to appeal to my own palate, the great thing about the create-your-own section of their menu is that you can find the right combination for yourself. 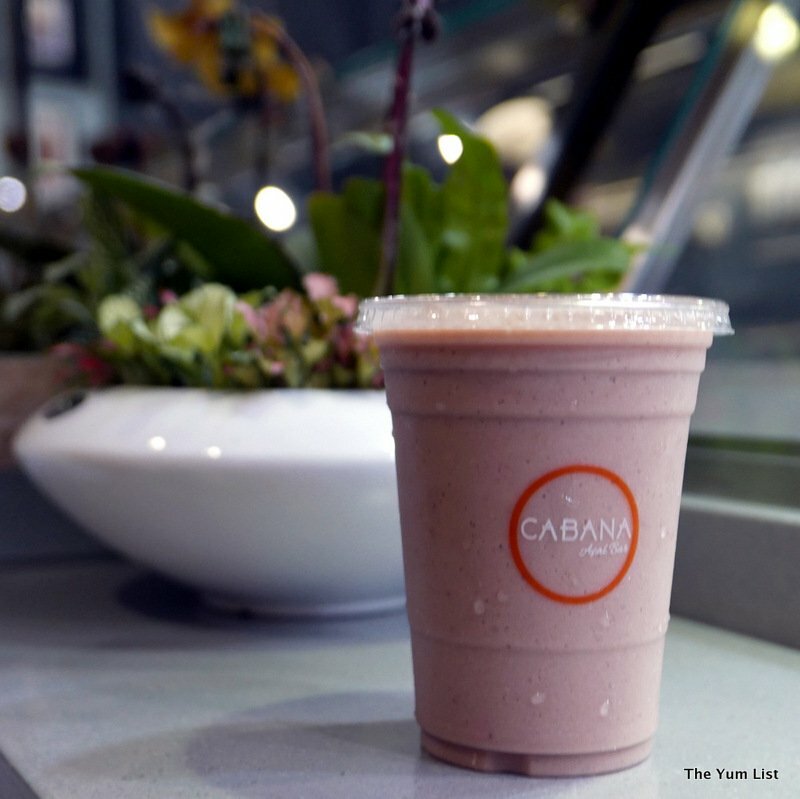 Whatever you choose from the menu, from the smoothies to the bowls, you’re sure to walk away satisfied – and energized. 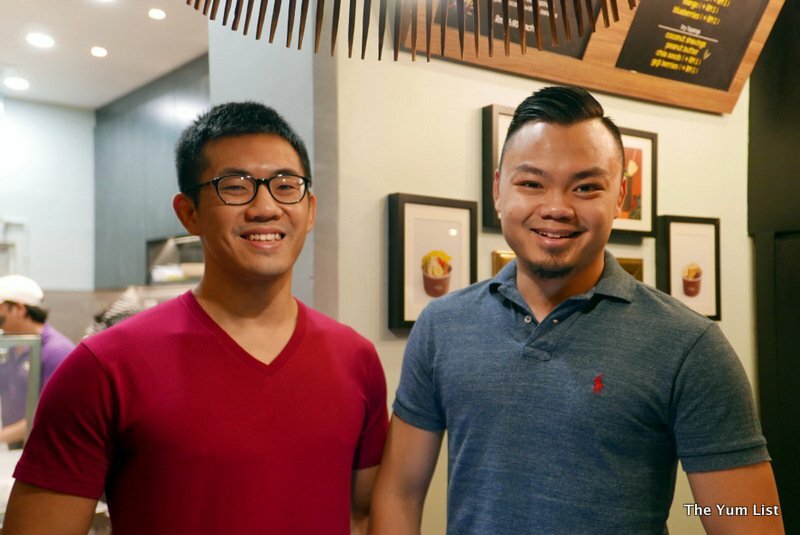 And for those in a rush, Khyn and Jun have said that they have gotten their preparation time down to five minutes, so you can grab a bowl or a smoothie to go on your way to the gym – or on your way to that big important meeting you need to be fueled for. They’ll be my fuel of choice whenever I’m in the area! Opening hours 10:00 A.M.-10:00 P.M.
Everything is bursting with colour and energy. The guys are in great shape, must be all that healthy eating. Unfortunately, I am beyond redemption. Sigh!! !